Since 1999, on the base of the Institute the programme of extended professional training and retraining of the bacteriologists and assistant bacteriologists has been present. Annually, there are from 4 to 6 cycles of thematic advanced training (“The selected issues of general and specific sanitary bacteriology”, “Bacteriology”, “Microbiological diagnostic of the acute enteric infections”, “Laboratory science in bacteriology”, “Sanitary microbiological research of the natural, fresh and waste waters”, “Sanitary microbiological research of food and drink”), where up to 30-40 bacteriologists and 20-25 assistant bacteriologists are trained. Specialized department of microbiology has been established by the ICIS and Orenburg Agrarian University to integrate higher education with the academic sciences, to provide the scientific researches with the personnel as well as to develop and perfect the system of innovative education. 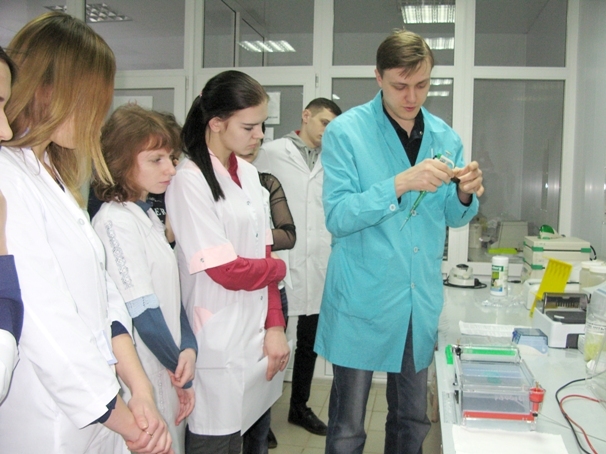 Thirteen workers of the ICIS are also involved in teaching on subjects like microbiology and biology in the Orenburg State Medical University, Orenburg Agrarian University and Orenburg State University. The researchers of the ICIS in cooperation with the professors from the Orenburg State Medical University, has elaborated a range of study guides of federal level for the students and the attendees of extended education courses. 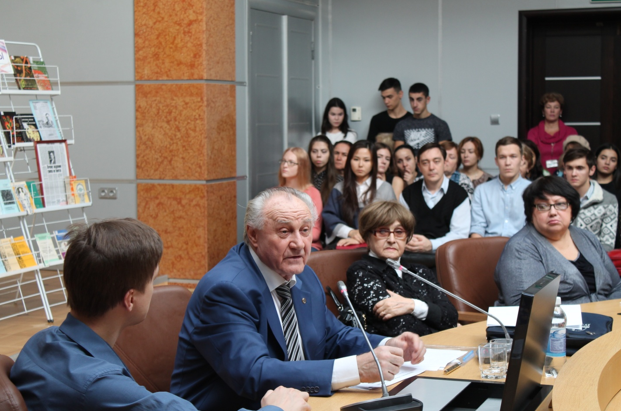 The staff of the ICIS fulfills awareness-building with the citizens of Orenburg. Academician O.V. Bukharin regularly gives public lectures in the Orenburg Regional Public Library after N.K. Krupskaya. The workers of the ICIS share the results of their researches on the radio, as well as in the local and the state press, they take active part in exhibitions. With the help of young scientists the scholarly knowledge is being popularized in many forms among school children and students. They organize scientific lectures and practical workshops in schools and in the Orenburg Regional Ecological and Biological Centre for Children, practical lessons, field trips and lectures as parts of “Doors Open” days in the Institute and the Academies of School Sciences for the Gifted High-school Students, individual lessons with the interested school children, guiding in competitions participation.